The battle for the top glove in Sofapaka is back on course after two of its top keepers George Opiyo and Wilson Obungu got a fitness nod from the team doctor. 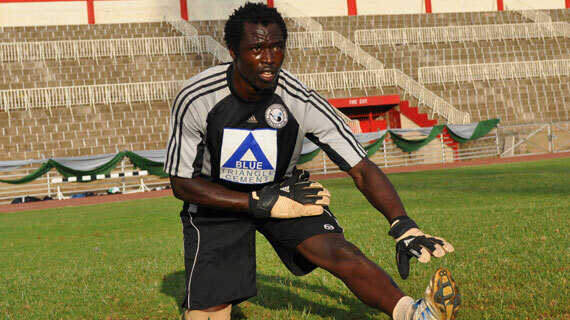 George Opiyo after being sidelined for the last two weeks due to an injury will be back between the sticks for his side Sofapaka as they face an acid test against Tunisian club Africain in the return leg of the CAF Confederations cup knock out match. “We have enough depth in the team and anyone is ready to be called upon anytime. We are happy George Opiyo is back in the team today, He is a motivator on the pitch and he has an attitude of a winner so am confident he will man the posts well.” Said Francis Kimanzi while speaking to Michezoafrika.com. In Tunisia, Zachary Onyango was in charge but his shaky decisions allowed three goals that could make a major difference in Sunday’s return leg clash. Zachary did not make the final squad with Cameroonian youngster Erick Penda standing in as a possible replacement in the event of any eventuality. Onyango is out on a minor injury. Obungu on the other hand has been out for five months but his experience has earned him a slot back on the bench.Obungu underwent a successful knee surgery in March this year to repair his Anterior Crucial Ligaments on the knee. He sustained the injury last year in December while turning out for the national soccer team Harambee Stars in the CECAFA tournament held in Tanzania. “He has been doing well in training and the coaches have assed him to be fit for the match.” Said Sofapaka’s president Elly Kalekwa. Sofapaka must win with a margin of not less than four goals without conceding any to be assured of qualification to the group stages.